Whistle-blower: White House Overturned Security-Clearance Denials for 25 PeopleHouse Democrats are probing the White House’s handling of security clearances for officials such as Jared Kushner and Ivanka Trump. What We Know About Jared and Ivanka’s Security Clearance ScandalTrump reportedly overruled those with concerns about granting clearances to his daughter and son-in-law. Ivanka Says Being Donald Trump’s Daughter Is ‘the Hardest Job in the World’The joke did not land well. Ivanka Trump and Jared Kushner Walked Out of ViceNice of them to make time to see a movie. Ivanka Says She’s Experienced Tremendous Personal Growth Doing Whatever She DoesShe insists she has really grown as a person during her time in Washington, D.C.
Melania and Ivanka Clashed Over Using a Black Child in a Photo OpChief of Staff John Kelly reportedly had to mediate the situation. Ivanka Trump Confirms She Is Not Paying AttentionSounds nice. Ivanka Trump Called Karlie Kloss Her ‘Sister’ in a Cursed Instagram CommentHow’re you feeling, Karlie Kloss? Ivanka Trump Is Finally Closing Her Fashion BrandSo long, shift dresses. Canadian Retailer Has Good Idea to Pull Ivanka Trump’s BrandToday in Canada. Jared Kushner and Ivanka Trump Do Spin Class in the DarkFinally … an answer to what they do all day. Very Reassuring: Trump Says Ivanka and Melania ‘Love the Women’Good to know! 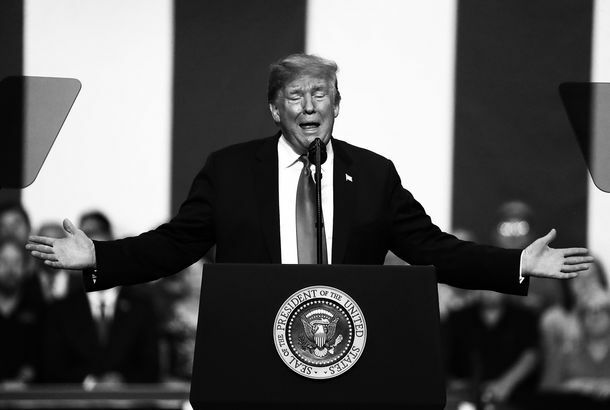 A Russian Weightlifter May Land Ivanka Trump in the Russia ProbeBuzzFeed reports that Ivanka Trump connected Michael Cohen to a weightlifter offering to arrange a meeting between Donald Trump and Vladimir Putin. Kim Kardashian West Stopped by Jared and Ivanka’s HouseA quick visit with old pals. The Samantha Bee and Ivanka Trump C*ntroversy, ExplainedSamantha Bee called the First Daughter a “feckless c*nt,” and everyone lost it. 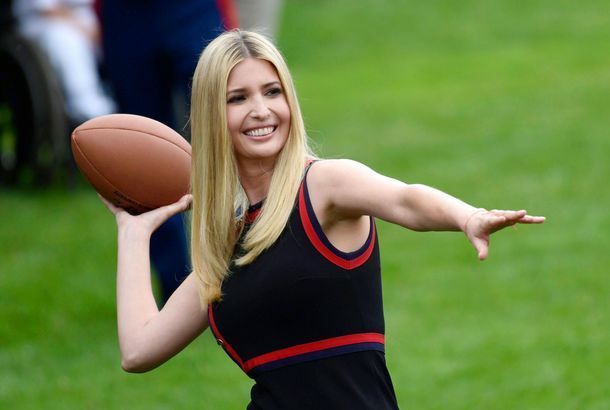 Ivanka Trump Adds Football Pic to Photo-Op CollectionExtremely natural.